At first glance the rules seem quite restrictive, as they specifically pinpoint key areas (a and b) that have to be of a specific area. 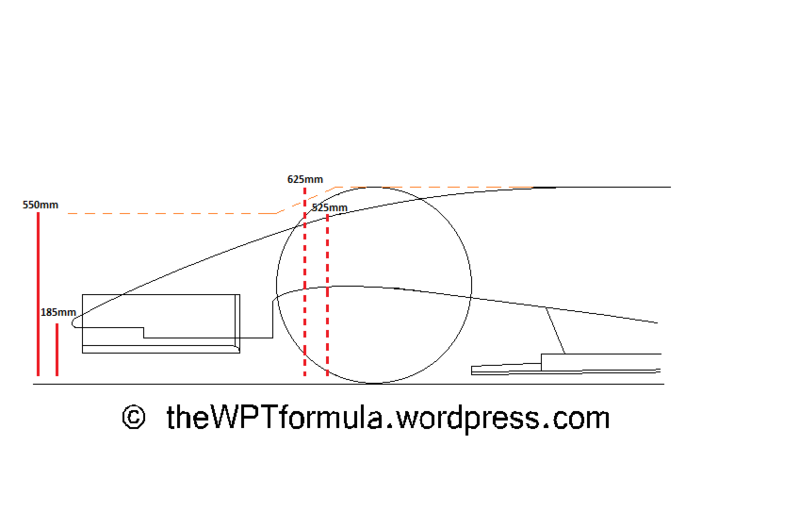 Of course, area does not determine exact dimensions but it is certainly limited in that the FIA have outlined the fact that the nose must be evenly tapered from 150mm behind the nose tip to the front bulkhead. This removes any concerns over the return of the appendage noses, or at least large appendages. The first sentence and half basically imply that a nose has to be fitted and that it has to absorb and impact, which is regulated by tests – simple. 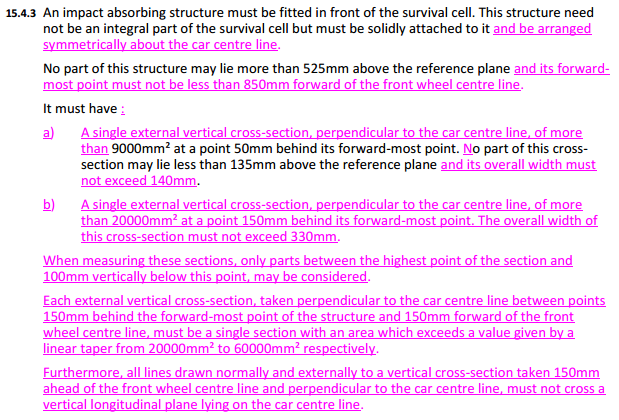 In the final part of the first section – underlined and coloured – tells the teams that the nose must be symmetrical – i.e. no crazy Lotus tusk designs. Amazingly this regulation has never been stated before; although when was the last time you saw an unsymmetrical nose? 525mm is the maximum height of the front bulkhead at the point A-A, so no changes here. The very tip of the structure must lie on, or further over, a point 850mm from the Front Wheel Centreline (FWCL). 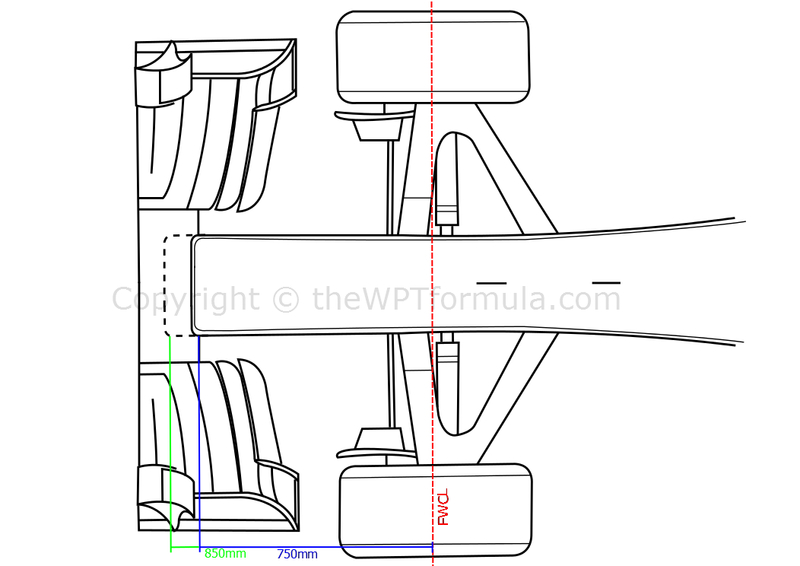 Putting this into context, in 2014 Mercedes set their nose back as far as it can go within the rules – 800mm ahead of the FWCL. The above illustration represents the changes, with the green line highlighting the new minimum and the blue indicating the distance between the FWCL at the edge of the neutral section of the front wing – the Mercedes nose is 50mm forward of this. It’s a small change – only 50mm further forward over 2014 – but it stops teams from isolating the neutral section of the front wing and creating a larger venturi effect beneath the nose. On top of that, the change is mainly for safety reasons as teams have been pushing the boundaries this year in terms of materials and thicknesses to shave weight. The extra length added to the crash structure should help teams pass more easily and, more importantly, keep the driver a bit safer. I have taken a and b as defined points on the nose as they are at different stages of the crash structure. Starting with point a: it is 50mm back from the very front of the crash structure, which therefore leaves 50mm to create a desired nose tip shape – just like 2014. The area of the cross section at a must be more than 9000mm² but its width must be 140mm or thinner. 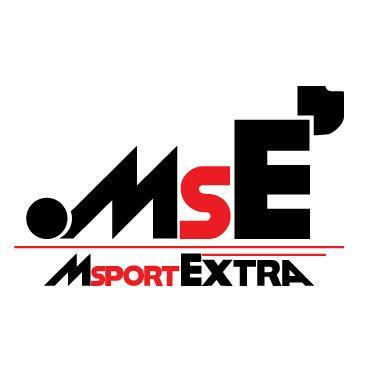 This is quite limiting, although as we shall see later there are still various options for the teams to consider. a also defines that the cross section of this crash structure must be at least 135mm above the reference plane. You may notice that it does not include an upper limit in this article, however this has been addressed in Article 3.7.9, which states that no bodywork must breach above a diagonal line taken from the front bulkhead down to a, with a maximum height of 220mm. In other words, the upper limit for a is 220mm. This also prevents extravagant camera pod designs that Mercedes, Ferrari and Red Bull have been utilising this year. Point b, 150mm behind the very front of the crash structure and therefore 100mm behind a, must be more than 20000mm² and no wider than 330mm. From point b backwards there must be a linear taper to the front bulkhead – 150mm forward of the FWCL – which ends with a 60000mm² area. The front bulkhead area is actually the same for all teams at 82500mm², meaning that the nose regulations clear up some potential space at the bottom of the bulkhead for aero devices such as the duct that Red Bull have been using this year. Again, there is an emphasis on the structure being a “single cross section”. The quote “these sections” is addressing a and b – the phrase tells us that the cross section must achieve the aforementioned required areas/widths at both points within 100mm, measuring from the top of each point downwards. This is another attempt to prevent unique shapes, such as triangles of some description. It forces the teams into producing at least some sort of box shape with the required area, although beneath the 100mm the teams are free to produce whatever they want. This is where the design freedom comes in and I have a few ideas as to what they could do in this area. Say the section is thicker than 100mm but they meet the requirements within that distance, the bottom could have a concave profile, creating a twin-keel style which would allow a small venturi to form and funnel along the centreline of the car. By contrast, the bottom could be convex and we could start seeing the ‘pelican’ or ‘pregnant’ style noses again. Yes, it is still pretty limited but it gives the teams a chance to optimise airflow passing beneath the nose and into the splitter region. 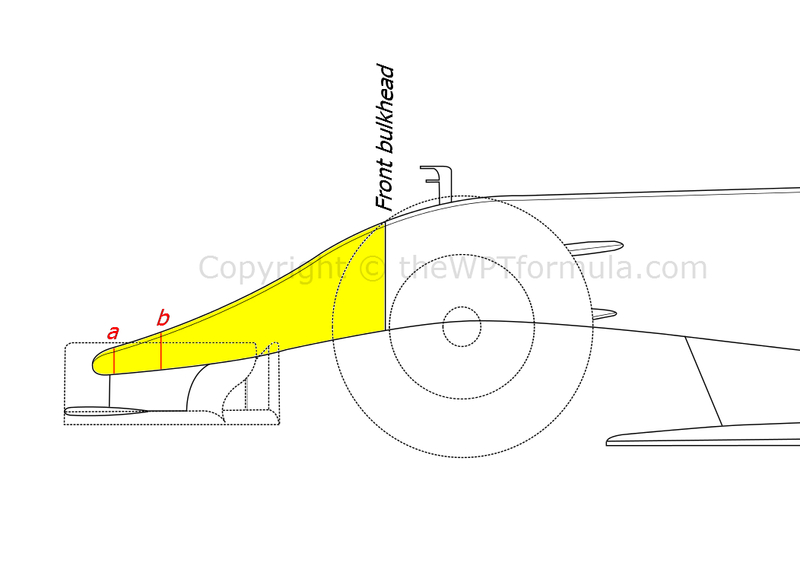 This final point further clarifies the rule of symmetry for next year, by disallowing any design that would cross from one side of the car, over the car’s centreline, to the other. Each side of the crash structure must be identical. Beginning with point a, let’s have a look at some of the design choices available. Considering that the area prescribed is 9000mm² and that it must not exceed 140mm in width, the first option you look at is a box shape of some sort at ~64mm x 140mm. 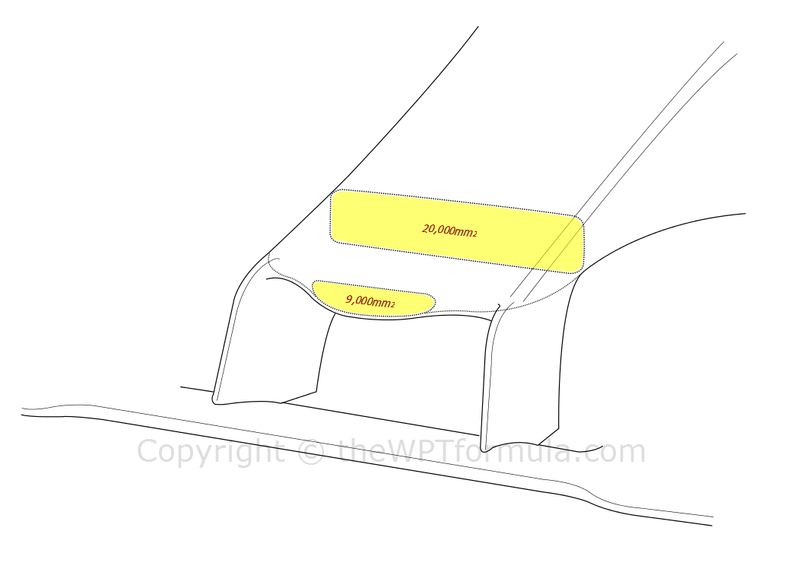 To put this into some context, Mercedes and Ferrari have noses which are roughly the same width as the front bulkhead at their tip – 300mm wide. The 2015 noses will therefore be pretty narrow up front. At point b, a generic set of dimensions would be something like ~61mm x 330mm to reach the minimum 20000mm² area. 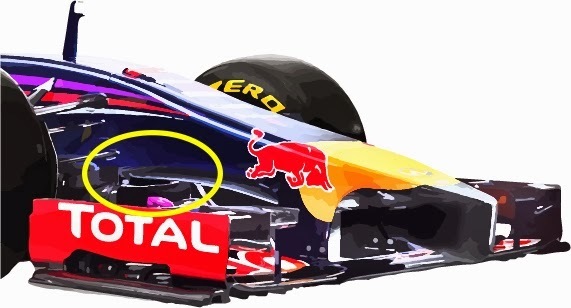 You may notice that the 330mm width is wider than the front bulkhead width, so think something along the lines of Red Bull’s current nose as to what that may look like. Here’s something I’ve come up with. It is worth noting that the dimensions are not exact but it gives us a rough idea of what we could see next year. The above design does not take advantage of the over-100mm loophole described above as the two points a and b (both in dotted red) are at their widest, and therefore thinnest, possible – i.e. the dimensions I mentioned above. 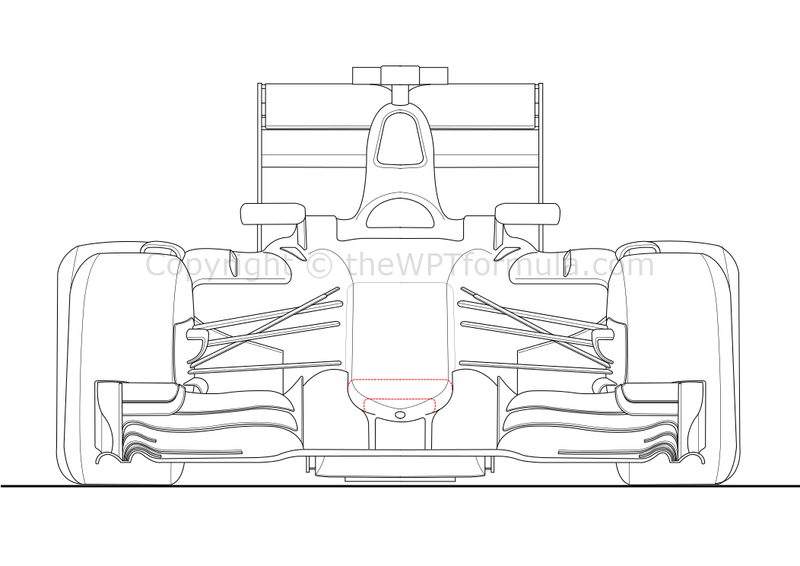 From point b (the second set of dotted lines going up the nose) back to the front bulkhead (the thin outline by the front suspension) there is a linear taper, narrowing from 330mm to 300mm. I think the general consensus is that we will just see a lot of 2003/4-style noses with a box-ish profile, but I’m not sure this will pan out. Hopefully you’ll agree that whilst the nose design is far more limited than this year, the 2015 regulations still provide a decent amount of room to play with different philosophies. If the teams wanted to achieve a Mercedes-style nose, this is how they would do it. Although the U-shaped tip would be outlawed under the 2015 regulations it is still possible to create a similar shape using a conventional crash structure and using the nose pylons. The crash structure has an extreme taper to meet the rules surrounding point a at the tip of the nose. It’s almost like having a normal crash structure with a 9000mm² block stuck on the front of it, the smooth taper allowing for a more aerodynamically efficient surface to work with. The great thing about this is that the very first 50mm of nose (i.e. the actual tip) is free to develop, leaving plenty of scope to navigate airflow efficiently around the 9000mm² area. This post is a work in progress and will updated up until the beginning of 2015. Please alert me either on social media or in the comments section of this post if there is something I have missed – which I probably have!